Craniosacral Therapy (CS) works through listening and following. As a practitioner one encourages the body to open and release, but then mostly just listens to & follows where the body goes in response. So to do good cranial work, one is learning to listen through our hands. To start with we listen to the cranial rhythm and bones, where they want to subtly move. Then we learn to listen to the muscles that are moving the bones. Then to the soft tissue behind the bones. However, as one’s listening ability improves, one realises that the body doesn’t move on its own, so we must be listening to the non-conscious mind of the person we are working with. This opens the doorway to working closely with the person’s thoughts and emotions. Then, as with the bones, we can follow the thoughts and emotions as they move. Fundamental to this is realising that listening & following the bones as they move leads to them releasing themselves. What this tells us is that the non-conscious mind of the person knows better how to release than we do. So if a therapist is able through their hands to listen and follow our non-conscious mind, then our non-conscious mind will be able to do what it needs to release our body. This is an astonishing thing. Even more astonishing was John Upledger (who was one of the foremost Cranial Osteopaths in America) discovering that following the mind and emotions in a similar way enables them to move and release as well. Doing this also helps the body to release. He called this inner part of us who seems to know what to do our Inner Physician. He called the movements we do to release Unwinding. As one listens more & more to other people through one’s hands, another thing happens. We realise that the more we listen, the more we seem to merge with the other person, & seem to be connected with them in a profound way. When this happens, we become more aware of their world as they see it, as if we are part of them experiencing it, or as if we are in their world with them. To begin with this is a vague, subtle and occasional thing. But as our listening improves it becomes more real, more powerful and more often there. Eventually it becomes the reality in which you listen, and you are able to easily listen as a stream of consciousness for hours at a time with someone. Upledger described it as ‘melding’. A lot of people on the receiving end feel this happening, and feel it as a profound experience themselves. In fact some feel that this ‘melding’ is the most important part of what is happening to them. They feel that being listened to is as important as how their non-conscious responds. They realise that listening itself is the driving force for all that happens in this space. I work in this way every day. What I find is that people don’t know what listening to themselves is. Usually in my work, the first obvious body movement they make is in moving their head. When their head begins to move, they almost always feel it as me moving their head. It can take quite a while for them to realise that it is their non-conscious moving their head. Then they can begin to feel the sensation of their non-conscious moving their head, & begin to listen to it more. This is the beginning of them listening to themselves. If they are willing to keep learning to listen to themselves, it can expand, so that they begin to feel & hear WHY their head is moving. This opens them to a whole new world – the world of their non-conscious mind! There is always just 2 reasons why they are moving their head. One is to move to free off physically. The other is to move the head into the position it was in when their body became stuck. This could be recent, like a car accident, or in the far past, like when they were born. It could be emotional too, like their dad shouting at their mum when they were small. The only way to find out exactly why their head is moving is for them to ask it, & be quiet enough for long enough to hear the answer their mind will certainly give them. Over a lifetime we have wound ourselves up, and been wound up, and found ourselves locked up inside, and lost the key. Cranial work gives us a key; a way to begin to unwind the torsions & traumas of a lifetime. If we are willing to keep at it, it can teach us the tools of Listening and Following. These tools are a powerful solution to so much of what is wrong or difficult in our lives. Cranial work is an amazing place to actually feel through physical contact someone else listening to us and following deeply. Then we realise we can get that feeling away from cranial sessions. We start to listen to ourselves on our own. Once we learn to listen to ourselves, we can be willing to listen to others too. We realise that listening to another person allows that person to exist. This can have a profound effect on our relationships with our partners, children, families and friends. From me & you, to us. From doing to, to doing with. From feeling lonely inside to feeling caring. From solving problems to listening with the person. From being self-oriented to being inclusive. At my clinic in Guildford Surrey I have been helping Osteo & Rheumatoid arthritis for 30 years. Rheumatoid Arthritis is our immune system attacking our own body. It starts as early as in our 20’s. It can worsen with age. The joints (specially hands, feet & neck) can become deformed. It can have episodes, & even ‘burn itself out’ (stop getting worse for ever) at any time. 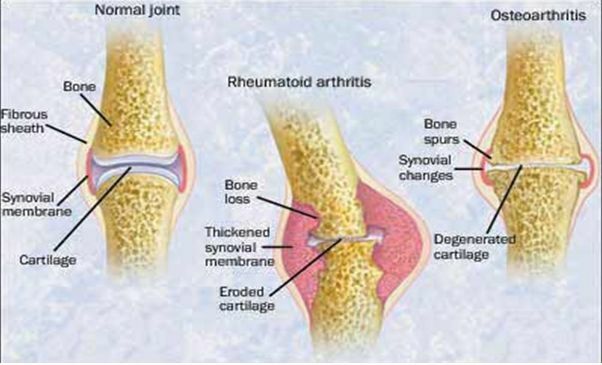 Osteoarthritis is wear & tear. it affects joints,bones & cartilage. We all have it, as seen on x-rays whe we get into our 60’s and 70’s, but a lot of us get little or no pain. Interestingly, severe osteoarthritis can show on x-rays, & be causing no pain or problems. You can be in a lot of pain with healthy x-rays. We dont know why. what this means is whatever the x-rays show, there is hope! I find acupuncture helps my clients with arthritis much more often than research on the internet says it should. Why is this? Chinese Doctors talk of energy pathways (meridians) in us, which will be in pain if blocked. The doctors in China use acupuncture needles to free up the pathways, which stops the pain. Clients of mine diagnosed with painful osteoarthritis have left pain-free after just a few acupuncture treatments. Rheumatoid Arthritis is not so easy to help. Regular acupuncture can manage the pain, lessening it. The hands & feet can also be helped to be more free and in less pain. Also I have sometimes had Rheumatoid arthritis burn itself out when I begin treating it with acupuncture. Interestingly, a Lady of 65 came to see me with severe pain in her hip. She had been diagnosed with severe osteoarthritis, and was scared of surgery. I gave her a course of treatment, & amazingly her pain disappeared totally! She also regained mobility in the hip. I last saw her 2 years later, when she was still pain free & happily mobile! So hip arthritis can be helped. Usually, when bad and worsening, a hip replacement is needed. The consultant wont want to replace it until they really have to, as new hips last at most for 15 years. A man aged 40 saw me some time ago. X-rays of his knees showed severe osteoarthritis. He was on pain killers, but they were not helping. Just a few treatments from me & the knee pain was gone, and his knees moved freer. He came back for several years for other health problems, & his knees stayed pain-free. Case 3 – Rheumatoid Arthritis, severe. A lady aged 65 came to me many years ago. She was a magistrate, and had been a nurse before. She had been suffering from severe Rheumatoid Arthritis for 35 years. She was in a wheel-chair. Her hands, feet and neck were deformed by the disease, and she was hunched over. She also had Ankylosing spondylitis, a nasty condition of the spine. Linked to all this she had really bad reflux and anxiety. She had acupuncture with me for many years. Just after I began seeing here her arthritis burned out. For her, acupuncture ever 2 weeks gave her relief, more movement in her feet and hands, & her arthritis stopped getting worse. Also her reflux was eased considerably, and she felt happier, and was not so anxious. She was a really nice lady with a wonderful memory. while she was being treated I learnt a lot about medicine, the law and life. She did so much better in her later years than she thought she would. In my 30 years as an acupuncturist I have treated so many people with acupuncture for back pain. I have had amazing success! When I had been treating people for 5 years, I was feeling unclear as to how I had done. So I looked over all my patient notes. One thing stood out. For back pain I had had a 93% success! This was after many clients. 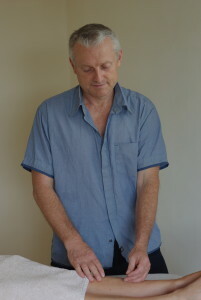 Some of the clients had suffered back pain for over 20 years. By success I mean the pain had gone or virtually gone. Two client cases stand out in my memory. A lawyer came to me who had had severe, constant pain for 30 years.. After 3 acupuncture treatments his pain was totally cured. This was incredible to me. One year later he sent his cleaner to me. She had had back pain for over 20 years. I treated her with acupuncture weekly & her pain was gone in only six treatments. At the end of the final treatment, when she was leaving, she began shouting at me! What kind of an acupuncturist was I to take 6 treatments to cure her, when with her boss I only took 2! The second was a young man who played for England in 3 sports. He had fallen off his bike 3 years before & badly damaged his upper back. When he came he told me he was booked in for back surgery. The surgeon had told him the surgery was extraordinarily dangerous. It carried a 50% chance of total paralysis! Despite this, he was about to have it. I treated him with acupuncture, without much hope of helping. 7 days later he returned, & despondently told me the treatment hadn’t removed his pain. I asked if there was any change to the pain. He said yes, about 50% reduction! Unlike him I was really pleased, & I treated him again. When he returned for the 3rd time the pain was 80% gone, and by the 5th time with met it was gone entirely. He came back one more time, then cancelled the surgery. I saw him 1 year later for a general health treatment. He said that his pain had never returned, & he was back representing England. If you ever read that acupuncture does not help back pain, please ignore it. 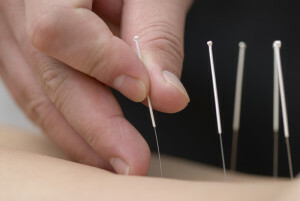 The NHS NICE guidelines have recommended acupuncture for back pain for some years. They have just recently decided to not recommend it. I am astonished by this, as acupuncture is cheap& it works, in my 30 years of practice. Back pain &acupuncture should be an NHS byword, in my opinion. 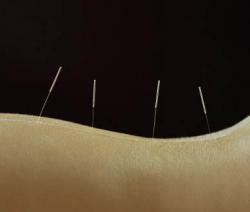 So if you have any pack pain, before going down the drugs& surgery route, please have acupuncture. I have had back surgery. I tried a lot of acupuncture, & it had no effect on my back pain. This is not a surprise, as an MRI scan showedthat my lowest disk had totally disintegrated. If I didn’t have the surgery I would have died. Luckily for me the surgery was amazing & I am very grateful to my surgeon. 15 years on & I still play 5-a-side football in my 50’s! for £20 you can have high quality acupuncture for back pain at our clinic in Guildford Surrey.. So if you are local to us, and are struggling, why not get in contact? We are now offering you an affordable acupuncture clinic on Monday afternoons and Tuesday mornings. Acupuncture will be just £20, which is half our normal rate. We are able to offer you this by having 2 treatment couches, separated by a screen, in each treatment room. All of your treatments will begin with a private consultations with one of our acupuncturists. Then you will be treated in a room where one other person is being treated at the same time. We have found this way of treating to work really well. This is how acupuncture is done in hospitals in the Far East. David Gilbert and Vahida Diaz are the acupuncturists running this clinic. We both have over 20 years experience. Vahida has worked at the Dragon Project affordable acupuncture clinic in Brighton & was a vet before becoming an acupuncturist. Both David and Vahida have seen how much acupuncture can help you. So they are interested in making acupuncture more widely available and affordable. I have been successfully doing facial rejuvenation using acupuncture at my clinic in Guildford Surrey. I first became interested in this a few years ago. I was treating a woman in her early 50’s for eyesight and facial pain issues. I treated her for 3 years, once a fortnight, and was surprised towards the end of this time that she looked younger than when she first came for treatment. The lines on her face had reduced, her skin had softened and looked younger, and there was less sag. Her complexion had also improved. Since then I have treated women in their 30’s, 40’s and 50’s for facial rejuvenation using acupuncture in Guildford Surrey, with surprisingly good results. After just one 12-week course of treatment there have been noticeable changes for the better. Alongside perhaps looking younger, women can feel younger, healthier and have more vitality. As a properly trained acupuncturist I do not just treat the face, I treat the person. The lady I treated for 3 years, at the end of treatment had no pain, had more energy, and was in better shape health-wise. Another lady’s migraines were less, and someone else’s insomnia was helped. So health issues can be helped alongside giving the face a lift. In addition, I often use Craniosacral therapy alongside acupuncture. Cranial work gently adjusts the bones in the head, working on tensions. It realigns the facial structure & helps to resolve any health issues. This balancing of the face’s structure enhances the face’s natural look, as well as allowing the whole of the head to breath, and blood flow to improve. Importantly, this kind of facial treatment is incredibly risk free. There are virtually no likely side-effects or risks. Very rarely there can be a very small area of light bruising for a day or so, and that’s it. Compared to surgery and other very invasive techniques, acupuncture and craniosacral therapy are amazingly safe. Long-term, regular top-up treatments can maintain the initial improvements. Further courses of treatment can also safely be taken. So my experience is very positive. Acupuncture is a really good, safe way to enhance healthy looks, to slow the signs of aging and in giving your face a health make-over! Craniosacral therapy & the spiritual. I have found Cranial work an amazing way to experience that there is more to our lives than we are aware of. It can give us real direct experiences, & then help us deal with them. Over the years, all that I describe below has been experienced by people in my clinic in Guildford, Surrey. In just the past 2 weeks people have experienced these things, and more! If we are willing to open, I have found Craniosacral therapy to be a door into our inner world, our connection to others, to expanded consciousness, and to an inner wisdom. An core part of cranial work is connecting with a part of us that ‘knows’ what to do, & allowing stuck parts of us to move in a way that opens us, lets go of fixed patterns, & resolves things. With Cranio sacral therapy I have seen many people move out of their stuckness enough to make inner journeys to parts of themselves and places that they were not aware existed. Many people have travelled to their past, and opened to the core experiences that shaped them, many times as small children or babies, often back to the womb itself. Sometimes to beyond the womb. These parts of us – children, babies, embryos – are revealed as living breathing parts of us, ‘here and now’ inside us. We learn that we have in the far past buried these parts of ourselves from the light of day. Yet they are found to shape everything we do and say. When let out into the light of day, we can learn to get to know these parts of us. Then we can allow them to be here, to be loved, rather than locked away in in dark, closed, unloved boxes. Some people open doors to beyond the womb, and spontaneously experience themselves as being in a past life. They experience themselves as being in that life, in a vivid extraordinary way. They may ‘see’ ‘hear’ and ‘feel’ as if they are transported through time. Bringing these ‘memories’ into awareness seems to allow many people to to understand their present day lives better, to feel freer, & open to something greater. People meditating can struggle to find expanded conscious. I have found craniosacral therapy a place to open to and to begin to understand and relax with these places. Often we don’t know what opening is. With craniosacral therapy we can begin to actually experience opening, and begin to understand what the path of opening means. Many people struggle as their awareness opens. As we open more we become more sensitive to energy, and to the interconnection between people. We can feel the world much more intensely, with all the confusion and entanglements that human beings live in but do not speak of. Cranial work can give us understanding and a way of working through and ‘with’, gradually bringing in allowance and compassion, rather than anger, fear, guilt and shame. I have found the spiritual path to be a gradual and often extremely difficult awakening. Linking Craniosacral therapy & the spiritual has for me been one of the few real tools that’s helped me and others connect with and aid the path to awakening. In my Guildford clinic in Surrey, I have seen so many clients for long-term pain, migraines, depression, anxiety, low energy, etc. who then remember a forgotten or seemingly unrelated trauma. It can be a car accident, falling off a horse, a severe fall, being abused as a child, a death of someone close, or something that reveals one’s parents to not ever have listened. It can have happened close to the time that their problems started, or years before. Often though there is some link in time that they had not worked out. And then during treatment, often hidden shock and trauma can be released. Shock comes out through shaking, releasing emotion and bringing into awareness and talking through what happened that created the shock. For me, when clients go into shock and remember stored traumatic experiences, it is important that I listen as non-judgmentally as possible, with warmth and caring. I find cranio-sacral therapy extremely helpful in this. It helps the person to process and release both physical and emotional shock and trauma. It is also important for me to be comfortable with all that can happen as someone relives trauma. This is where many years training, and many years of clinical experience are extremely useful. Car Accident trauma treated by Cranio-sacral therapy and Acupuncture can be released in one treatment or need several, depending on the severity of the trauma, and if there is more than one trauma. Many years ago I treated a young woman who had been hit by a car going at 40mph. It was a miracle that she survived. 5 months after the accident she was diagnosed as having M.E. (extreme tiredness). She came to see me 6 years later to help her M.E. She had been also suffering from agrophobia for 6 years. Neither she nor her doctors had linked her M.E. and agrophobia to the car accident. When she mentioned it when I asked about past accidents, I was astonished that it had not been linked, and knew that it must be a factor. She came to see me fortnightly for the next 2 years. During that time she relived the car accident every session, with me treating her with cranio-sacral therapy. She gradually improved, until she no longer needed to see me, and felt back to her old self. This was after 6 years previous to seeing me where she had experienced no improvement. In my experience severe car accidents, and even seemingly minor accidents can be unresolved and have long-lasting effects. Real life is not like the movies (where the hero gets bashed around and sees other people severely injured or worse). Real people do not just get up and shrug off big impacts, whether physical or emotional. If you think that you may have been affected by shock or trauma, whether recent or decades ago, then feel free to give me a ring or email me. I have had amazing results treating migraine with cranio-sacral therapy and acupuncture in Guildford, Surrey. I have treated many people over the last 30 years for migraines in my clinic in Guildford. I have found the combination of cranio-sacral therapy and acupuncture to be amazingly effective. Acupuncture on its own can work, cranio-sacral therapy on its own is more likely to work. The two together work far better in my experience. Migraines vary enormously in location, intensity and cause. Every person who comes to me with a migraine is different, so they have to be diagnosed and treated differently. In chinese medicine there are different migraine syndromes, and in cranial work also. One older man who came to see me 25 years ago suffered from horrific migraines, where he would be incapacitated for days. Alongside treatment I gave him dietery advice. As he was desperate to try anything, he agreed to cut out most foods and gradually re-introduce them. We discovered that the cause of his migraines was red meat. He stopped red meat and never had another migraine. He is the only person I have heard of where red meat was the cause. Another man in his 40’s who I saw 15 years ago, was suffering from the worst migraines I have ever heard of. He had had them consistently for 25 years. He had them at least once a week & they would last for up to 3 days. If one started when he was in public he would be totally floored, and unable to talk. So often he was mistakenly seen as drunk and put into a prison cell. I treated him with cranio-sacral therapy. He was cured after just 1 treatment. He came to see me weekly for 6 weeks, then occasionally for the next 6 months. Then he never had any need to return. The cause with him was the joint between his head and his neck being stuck tight. We worked out that at the time his migraines started he had 3 severe impacts to the head in a short space of time. He had come off his bike and landed on his head, fallen down stairs, and been involved in a fight with another boy at school where he was hit hard on the head. A third patient of mine is a retired woman, who I have been seeing for the past 3 years. She was having up to 3 migraines a week, and found them severely debilitating. She had had them for over 30 years. I treated her weekly, then fortnightly, then monthly, with acupuncture and cranio-sacral therapy. We have managed to reduce the migraines to about once every six months at the moment, and she only comes for treatment when she has a migraine. We have never quite worked out the cause of her migraines. So cause and treatment vary, but I have been amazed looking back how often treating Migraine with Cranio-Sacral Therapy and Acupuncture has radically improved people’s lives. I have had amazing results treating Trigeminal Neuralgia with acupuncture and craniosacral therapy at The Gilbert Clinic in Guildford, Surrey. Trigeminal Neuralgia presents as pain on one side of the head. It is usually intense. It can go from the ear area to the the jaw, cheek or forehead, or all three. It often comes on fairly quickly, and the pain can move around. It can last for weeks, months or years. It can pull your lips cheeks and eye muscles out of shape, causing you to look like you are grimacing on one side of your face. It is often misdiagnosed by dentists as a tooth problem. While the cause is seen as unknown, it is thought to be linked to the swelling of an artery in the face. Consultants will often treat it by surgery under a local anesthetic to reduce the swelling in the artery. This sometimes helps. I have just been treating trigeminal neuralgia with acupuncture and craniosacral therapy, with stunning results. The pain was excruciating when they came to see me. Their dentist had diagnosed their problem as a tooth problem, and was about to start a course of very expensive dental treatment. After I had treated them 4 times with acupuncture combined with cranio-sacral therapy, the pain has gone totally. In Chinese medicine Trigeminal Neuralgia is seen as wind getting in. In one area of China at a certain time of year they have ferocious windy weather, and the doctors are inundated with cases of trigeminal Neuralgia. Their preferred treatment is acupuncture. Acupuncture and Cranial work are excellent for treating many facial problems. I have found even problems that have been going on for 20 or 30 years can respond well. Many years ago a lady came to see me had a top lip that was permanently raised over an inch on one side, disfiguring her face. It had been like that for 20 years. I treated her with acupuncture and she came back the next week with a normal mouth. She was one very happy lady that day! The lip has stayed normal ever since. So if you know someone suffering from one sided facial pain, it is always good to first get a diagnosis from your doctor. Also tell them that treating trigeminal neuralgia with acupuncture and craniosacral therapy can really help.